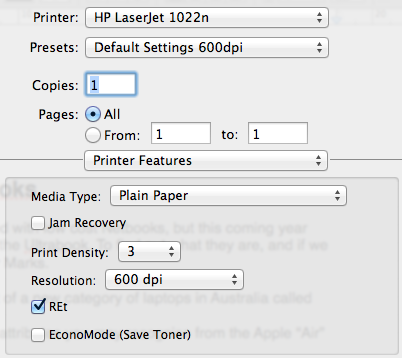 This is a heavy duty printer. It is used on a lot of printing enterprises. It's eco-print is very effective for cost-effective printing. Glad this helped someone. Cheers Anonymous, keep up the interesting work. Two years down the road and this is still helping. My trusty old 1022 just got a new lease of life. Many thanks. Happy to help Michael. Often I post these things to help my future self.